The Verdigris Creek which feeds Grove Lake is one of the few cold water, spring fed streams in Northeast Nebraska. Several public access areas provide fishing for native brown trout along with weekly stockings of Rainbows. Grove Lake holds the State record with a 2 lb. 13 oz. Bluegill. Every year many master angler awards are given out. 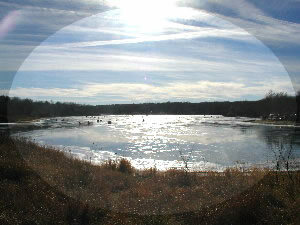 Grove Lake has 54 surface acres of water with 2 boat ramps on the west side. Fish species include bluegill, crappie, bullheads, catfish, walleye, largemouth bass, trout and northern pike. Grove has large grassy flats in the south end and numerous stump areas and underwater brush piles in the mid lake and deep dropoffs and wood structure near the dam. Visit the Bait Shop for all your fishing needs!